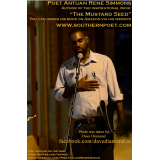 The Mustard Seed on Amazon. To give inspiration to all those who are depressed or feeling down. This book is great picker upper. Not preachy, but to give a different and better spiritual perspective on the world.